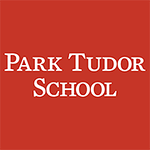 Welcome to the Park Tudor Photos site! Photo galleries are added weekly. To download photos for your own keeping, click the download icon on the album page or an individual photo. If you have photos from Park Tudor events, sports, field trips or performances, you can share them with the Yearbook and Communications staff by uploading here.